Let’s make good on our promise to educate all students. 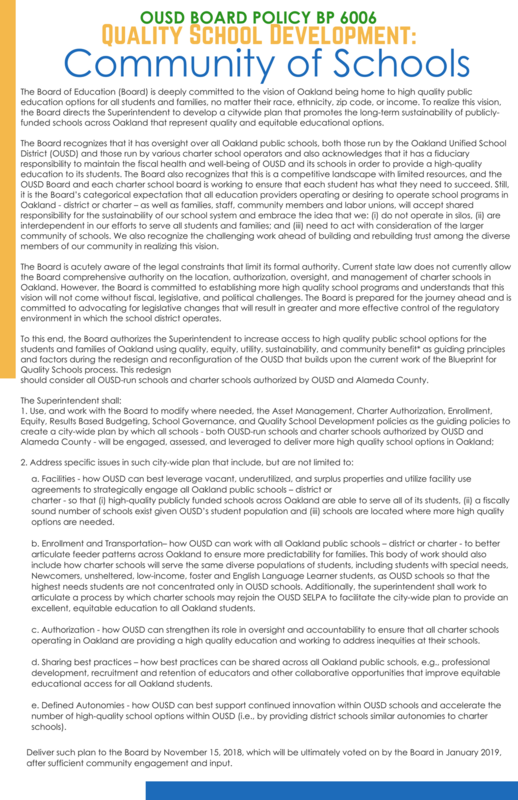 In September of 2017, GO Public Schools Oakland brought together community, family, and student leaders to launch 1Oakland, a campaign that is working for an exceptional, equitable, and a sustainable education system that reflects our commitment to all Oakland students. Districts in diverse urban cities are struggling to provide the education that all of their students need. We believe in our city and the creativity and capacity of educators to provide a premier education to our students and families. It’s time for 1Oakland. All public schools have equitable access to public resources. There is still a lot of work to do. The time is now to be engaged.